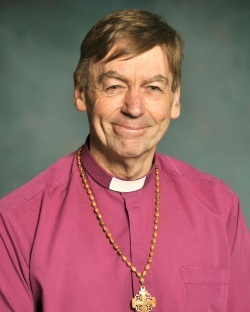 Bishop Huggins’ appointment follows the retirement earlier in 2018 of the former Director Rev’d Dr Ray Williamson OAM. ACC&C Executive Director Rt Rev’d Professor Stephen Pickard said the ACC&C board is excited about Bishop Huggins role within CES. “It will enable the CES to continue with new energy and vision. It will also fulfil a longstanding desire of the Board for the ACC&C to align more closely with the NCCA as was originally hoped for at the establishment of the ACC&C in 1998,” he said. Professor Pickard said there were important synchronicities between the work of CES and the NCCA that would be mutually beneficial to both entities. “In particular a Canberra base and ecumenical environment for the NCCA opens up possibilities for connections with the government and diplomatic community in the national capital while Bishop Huggins role as President of the NCCA strengthens the profile of the CES and the ACC&C,” he said. “The work of the ACC&C and NCCA is both ecumenical, interfaith and missional. I feel confident that in time the link between the ACC&C and the NCCA will become even stronger and create new possibilities for the churches to engage with Australian society,” he said. As part of his role, Bishop Huggins will coordinate key activities of the CES including an annual roundtable event, an ecumenical course held on average every two years and annual event to mark the Week of Prayer for Christian Unity. Bishop Huggins is supported by a CES Advisory Board which is chaired by Professor Ross Chambers. Bishop Huggins recently resigned from his position as an assistant bishop in the Anglican Diocese of Melbourne. He brings a wealth of experience and networks to the role. He has held senior positions in a range of diocesan, national and international bodies including social responsibilities, refugee taskforce, Brotherhood of St Laurence, Jewish, Christian Muslim association and Centre for Dialogue La Trobe University.